True orthodontic emergencies are rare, but if they occur we are available to you. Call our office at any time and we can determine whether you need to come in. It is better to err on the side of caution: if in doubt please call us. In the rare event that a bracket is broken or detached or a band has loosened call to schedule the first available appointment for repair. Allowing your appliance to remain damaged for an extended period of time may result in disruptions to your treatment plan. 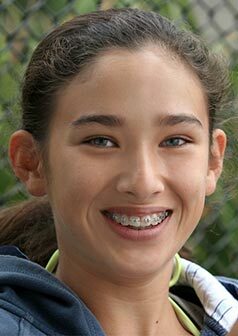 When you get your braces on, you may feel general soreness in your mouth, and teeth may be tender to biting pressures for three to five days. Stick to a soft diet until your teeth do not hurt to chewing. Irritated gums and other sore spots can be relieved by rinsing your mouth with a warm salt-water mouthwash. Dissolve one teaspoonful of salt in eight ounces of warm water, and rinse your mouth vigorously. An alternative (better tasting) mouthwash is the Healthy Gums Rinse by The Natural Dentist. Placing Orabase on the affected area may also help relieve discomfort; Orabase can be found in a pharmacy. If the tenderness is severe, take whatever you normally take for headache or similar pain. Aspirin, Ibuprofen (Motrin, Advil) and Naproxen Sodium (Naprosyn, Anaprox) actually slow the tooth movement, so it is not advisable to use them frequently while wearing braces. Headgear - we almost never use this !! Call for the first available appointment. Call to come in so that it may be trimmed.